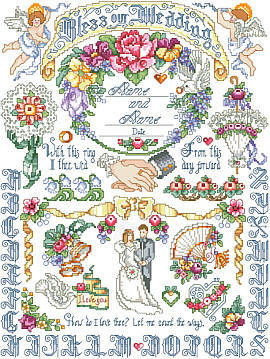 Mark the glorious occasion and big day of two newlyweds by tying together this beautiful wedding cross stitch design! The perfect gift for a very lucky couple in your life. 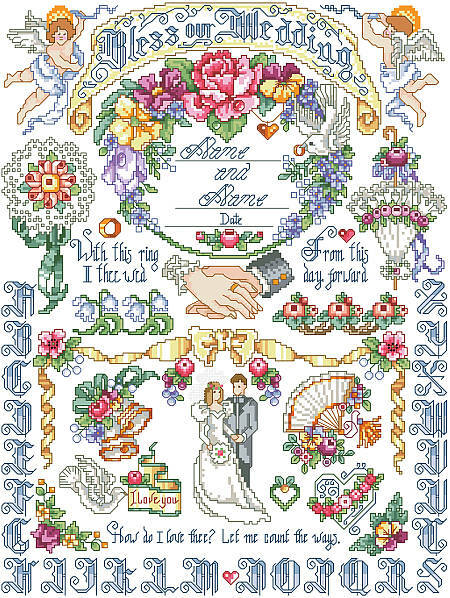 A classic design, whether you are that bride-to-be or a cross stitching maid of honor, it’s guaranteed to be a gratefully received sentiment. Contents: Stitch Count 169w X 225h on 14-ct, Finished size 12" X 16h"